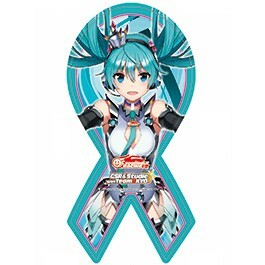 A ribbon magnet with the 2013 Ver. Racing Miku illustration design that's featured on the BMW Z4 front hood. Put it on your favorite car, home appliance, or any other metal surface.